Let’s give the stage to Julia, who will show you pros and cons of adding video and GIF to your emails. If you’re reading this article, chances are you already know that you should employ more personalized video and GIF content into your email marketing, and do it smartly. In case you are not sure yet, let me give you the following statistics: the whopping 74 percent of people feel frustrated when marketing content they consume, is not personalized. An unhappy prospect won’t complain, but they are less likely to become buyers. In this guide, we will tell you how Chanty uses videos and GIFs in email marketing, show a few other companies who are adopting them well, disclose some bottlenecks and pitfalls of this process, and share useful resources to help you become an email rockstar. Alright, short videos and especially GIFs are often cute and funny. But can they be efficiently employed in email marketing? Indeed they can! There are a few key benefits that GIF and video content deliver to marketers. Today it’s tough to capture someone’s attention for more than 60 seconds. GIF and video format wins this competition for attention because it has the power to tell a story in a different way what static content can’t do. This means people can engage with this format quickly and seamlessly. As a marketer, you should always consider different ways in which you can capture the attention of your audience through effective (and creative) use of calls-to-action. GIF and video content might present the perfect opportunity for you to try something new that can act like visual calls-to-action. Some companies use GIFs and videos in their email campaigns for humor, some businesses adopt them for showcasing products, others — for telling a complicated message that would require many lines of copy, clearly and quickly. 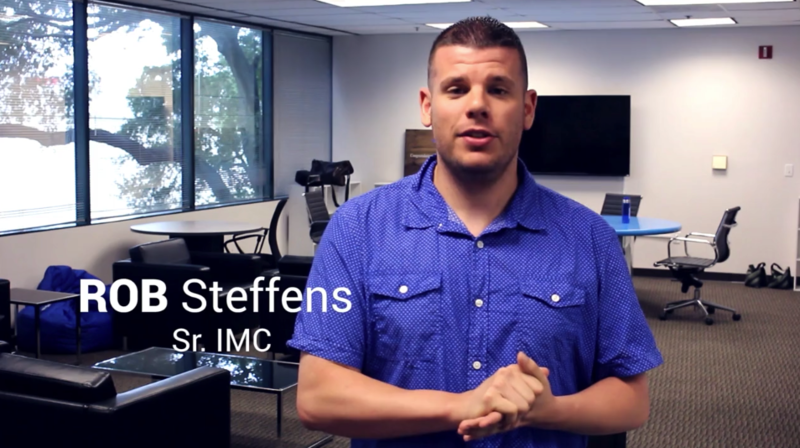 How can GIFs and videos be potentially useful for your email marketing? Just mix your business goals with the right amount of creativity. We have to answer many technical questions from our users. And we’re happy to make their lives easier. The problem is that sometimes even a simple issue requires a lengthy copy to be explained. Instead of relying on text, GIFs and videos act as effective explainers leaving no room for confusion amongst viewers. Do you prefer videos and detailed explanations? Great! Give Soapbox a try. It’s a free and handy Chrome extension that enables anyone to record, edit, and share video-explainers in minutes. In case you don’t want to provide full video tutorials, GIFs can be successfully used to illustrate complex concepts effortlessly and keep users satisfied. Screencast your tool features and import footages into a GIF format file with Recordit. A drop of personalization can get your prospects a little bit happier and your wallet a little bit thicker. You can build trust and encourage users to engage with your brand by using emotions and adding a personal touch. Services like BombBomb and Idomoo can help you create personalized video emails that stand out in a crowded inbox. First, we conduct a research of people who have signed up to our beta test by googling their emails. Having known the name of the prospect and the company which they work at, we create a sweet and short personal invitation video. Keep reading to grab some useful strategies and advice on implementing GIFs and videos in your email marketing. Here are simple, yet effective, tricks when it comes to using GIFs and videos in email. Using a person’s name is the easiest way to grab their attention. Why is that? The answer is quite obvious: prospects feel respected and important when marketers use a person’s name and treat them as an individual. Can personalization extend beyond just a first name in your email marketing? Of course, it can. Detailed information, such as a job title, lists of already consumed products or services, images of prospects’ company logo or website, etc., makes your emails more credible and noteworthy. What the majority of corporate ‘About us’ pages lacks is the personalized approach (you’ve guessed it right). And it’s reasonable because companies don’t know who exactly may visit their websites. But if you have a bit of information about your prospect and do a small research on them, you’ll be able to create an individual video that nurtures human connections between you. Prospect videos allow your customers to picture the value that your service or product will offer them. When was the last time you replied to a message that a salesperson left you on LinkedIn or directly in your mailbox? Frankly speaking, all of us respond very rarely to this type of letters. The power of personalized videos can help your sales experts attract and convert prospects in a simple and engaging way. Just turn on your webcam and record a short video to follow up. Since videos are more intimate than written emails, and they clearly display some efforts, recipients feel more inclined to actually reply. These video error notifications make prospects extremely mad, email campaign results—extremely poor, and email marketers—extremely sad. Video is a tricky format for emails. To overcome possible errors, we’d like to offer you a simple and effective ‘pseudo-play button’ strategy. The key here is to simulate a video in emails through an image or GIF that has some specific video indicators (a play button, for example). Link this ‘video preview’ image or GIF to your YouTube video or simply to your landing page. As a result, when users click that ‘video’ to play, they’re brought to a place where the video automatically plays. That’s it! Test using the word ‘video’ as a part of an email subject. 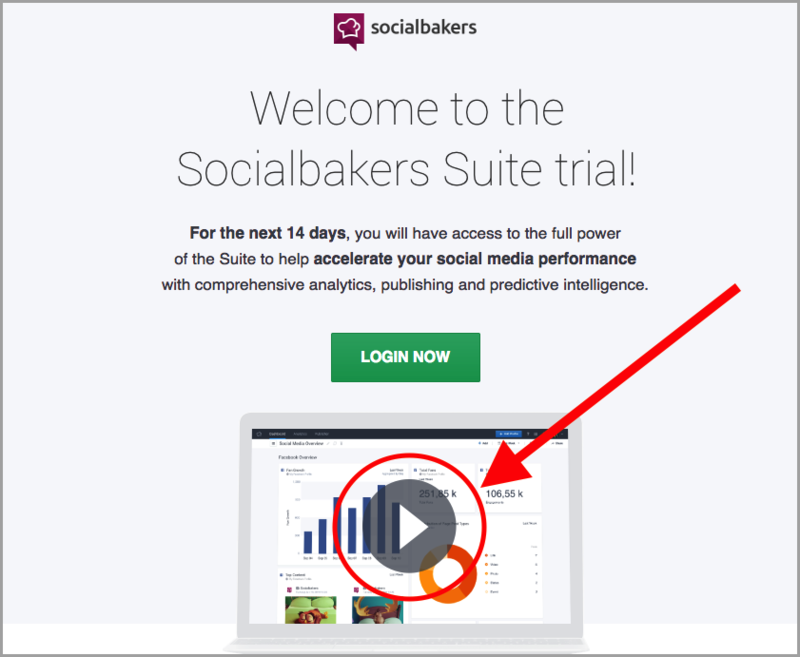 This simple trick ramps up open rates by 19 percent and clickthrough rates by 65 percent. There is no secret that CTA elements are crucial email marketing tools. At the end, you want your viewers to take action, not just read through the email. Therefore, keep your visuals clear and actionable. For example, place social sharing icons, download button or contact form at the end of the video. Your prospects might like to know the reviews of existing customers before purchase. Therefore, testimonials regarding your product and services are way too valuable to your business. Sharing some nice video interviews in your emails can build up customer loyalty and interest in your brand. GIFs can be a great method to emphasize urgency in your emails. That doesn’t mean that they should dazzle, glitter and flash in an annoying, salesy way. Adding a little piece of animation is sometimes all you need. Thanks to their immediate value to the user, GIFs and videos can help you build more friendly and warmer relationships with your prospects. 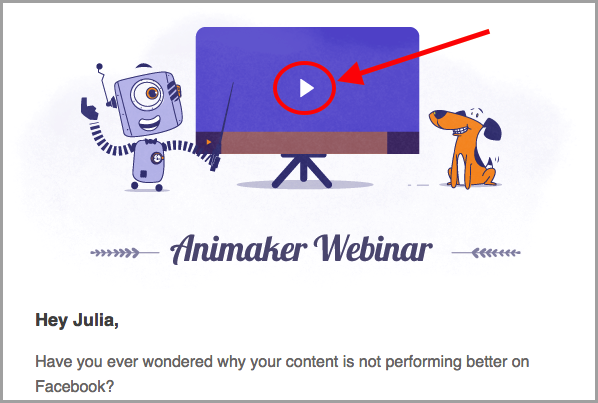 The ability to view embedded videos is turned off by default in most email clients. Additionally, inbox trends have shown that emails containing videos often end up in spam folders. In a case when you have no choice except embedding a video, make sure to segment your emails on the basis of their email clients. As for GIFs, experimenting in this format is much safer. They are supported by almost all email clients except Outlook 2007, 2010 and 2013 (no surprise!) which will show the first GIF frame. In Outlook, make sure that your first frame includes all the necessary information—headline, offer or call-to-action. In our humble opinion, the most reliable way to share videos with your clients is to simply put a link in your emails that redirects users to the web page containing the original video. Less is more. The majority of marketers tend to agree that email size should be no larger than around 100KB. With around 55 percent of email opens happening on mobile devices, it’s become crucial to overcome slow Internet speed and mobile limitations by keeping emails small in size. Shotcut—a free, open source, cross-platform video editor with an intuitive interface. 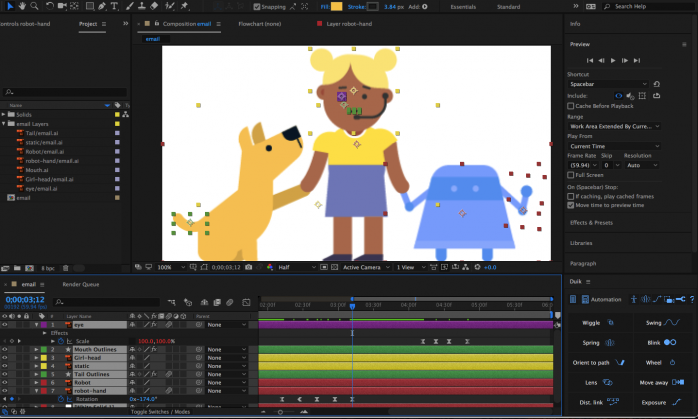 Lightworks—a tool that will be useful both for video editing newbies and professionals. Filmora—an editor which is easy for anyone to learn, even if they’ve never edited a video before. WeVideo—an online video editor that makes it easy to capture, create, view and share your movies. Machete Lite—a software designed for quick and simple slicing of your video files. Let’s start from the easiest case. If you need just a mood GIF (not branded, not selling), try to browse Giphy, Tumblr or Reaction Gifs. Not satisfied with ready-made options and eager to create your own GIF? Luckily, it’s not difficult to do. First, you will need several (from two to infinitude) static images, or frames, that convey your message. Eventually, they will come together in a single file. Just upload your frames into these free online GIF makers: GifMaker, EzGif, MakeAGif. A few seconds and voila—your branded GIF is ready! That’s almost it! Now you are armed with all the knowledge that is needed for seamless and successful GIF and video implementation into your email marketing! Action without intention is worthless. Creating GIFs and videos for your emails, don’t forget to measure and understand their effectiveness for your business. Email marketing analytic systems can tell you which recipients opened your email, and which links they clicked within the email. Additionally, videos are the most measurable content medium. Marketers can analyze second-by-second video engagement data for each user and implement these insights into further marketing activities. So, don’t hesitate to employ analytic tools for your imaginative email marketing. Email marketers are always on the lookout for something that will draw attention to their emails. Many of them are turning to personalized video and GIFs content and mixing different strategies and tools. Previous postWhat to Do if You Feel Like Cold Emails Don’t Work for You? And I have used some of them in my own business.